On the Spanish banks of the Guadiana just across from Alcoutim, sits the Spanish village of Sanlúcar de Guadiana. Sanlúcar de Guadiana – travel through time and space! 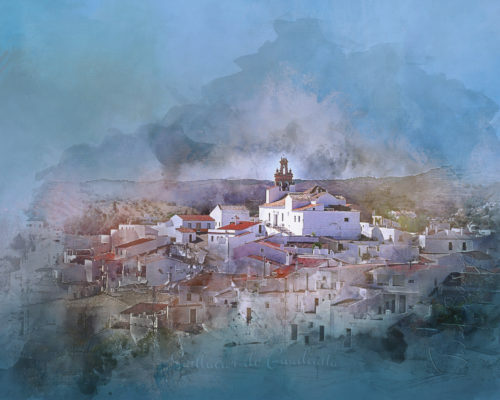 My latest work features the Spanish village of Sanlúcar de Guadiana, in the Spanish province of Huelva. From here you can take the Límite Zero zipline across the river to Alcoutim, in Portugal. This is the only zipline in the world where you can cross an international border and a time zone. Arrive in Portugal some 59 minutes before you left Spain! The ride is 720 m in length, and you can reach speeds up to 70-80 km/hr. Please leave me your feedback below. Oh, and feel free to share this post on your favorite social media platform using the buttons. Thanks!